PBS Distribution will release two new episodes of its hit wildlife series Nature on DVD this month. Nature: A Squirrel’s Guide To Success is scheduled for release Jan. 22. The episode delves into the world of squirrels, examining just a handful of the roughly 300 species that exist today, such as the fox squirrel, Arctic ground squirrel and the red squirrel. Audiences learn about the abilities and adaptations that have helped squirrels survive for eons in their various environments over the course of one hour. Those abilities and adaptations include, but are not limited to, being able to glide through the air, the ability to make astounding leaps and extensive memory. 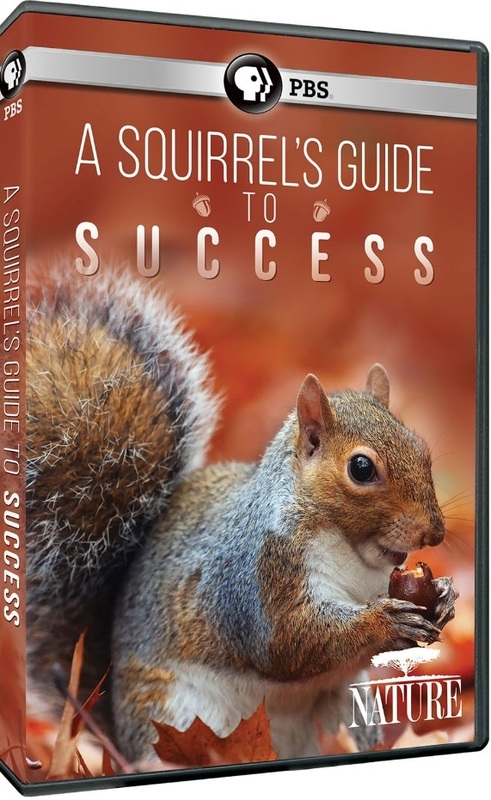 Nature: A Squirrel’s Guide To Success will retail for MSRP of $24.99, but can be pre-ordered now at a reduced price of $19.99 via PBS’ online store. Nature: Dogs in the Land of Lions is scheduled for release Jan. 29. Filmed over the course of two years, the program follows a family of African dogs. The family is led by the mother — named Puzzles — after her mate — Jigsaw — is killed by lions, the African dog’s biggest enemy. The moving presentation of motherhood and family loyalty exhibits what sets wild dogs apart from other large, social carnivores. 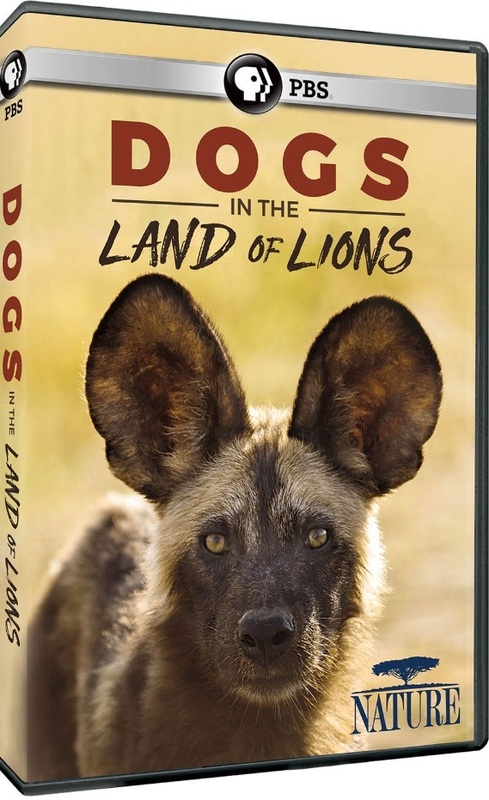 Nature: Dogs in the Land of Lions will retail for $24.99, but can be pre-ordered now at a reduced price of $19.99 via PBS’ online store. Truth is, more often than not, stranger than fiction, and that is just as true when it comes to the animal kingdom as in any other aspect of life. Audiences will see that for themselves firsthand this summer when PBS Distribution releases PBS’ new Nature documentary Natural Born Rebels on DVD. Nature: Natural Born Rebels is currently scheduled to be released on DVD June 5. The 159 minute (2 hours, 39 minutes) documentary presents to viewers some animals whose behavior seems so unbelievable, yet is very real. That includes a crab that can’t help stealing, a chimpanzee who rules his group with an iron fist and even a rather amorous prairie dog. As audiences will learn throughout the three-part series, these are just some of the surprising yet very real behaviors that animals display, too. Over the course of the program, researchers reveal to viewers that these behaviors may be the key to survival in the animal kingdom. 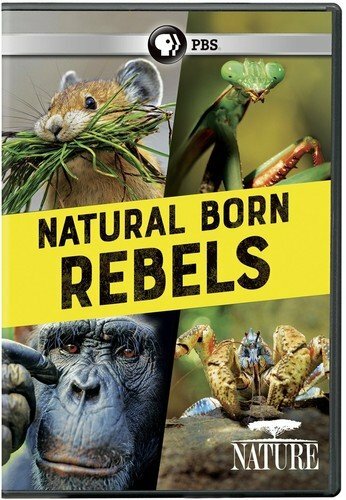 Nature: Natural Born Rebels will retails for MSRP of $24.99 and can be pre-ordered at a reduced price of $19.99 via PBS’ online store. PBS is taking audiences to South America next month with the second of tow new episodes of its hit wildlife series Nature. 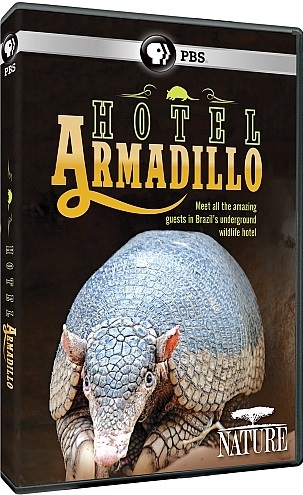 Nature: Hotel Armadillo will be released Tuesday, June 20 exclusively on DVD. The program takes audiences on a journey to Brazil’s remote 80,000+ square foot Pantanal wet land in search of the elusive Giant Armadillo. Very little is known about the solitary, nocturnal creature. That is why the conservation biologist Arnaud Desbiez and members of the Giant Armadillo Project, which is supported by more than 40 zoos and aquariums worldwide, set out to find the animals. Desbiez and company took specialized equipment on their journey to capture pictures and footage of the giant armadillo in its natural habitat, and learn much more than they ever expected in the process. They discover once the armadillo vacates its burrow, which can be as deep as 20-feet, the burrow is used for both food and shelter by any number of other animals. Along with the discovery of the semi-symbiotic relationship between the giant armadillo and other animals, the research team also discovers the armadillo’s wide home range. It also presents a serious man-made danger facing the creature, which plays such a crucial part in Pantanal’s ecosystem—ranchers who burn the area to promote vegetative growth. This summer, PBS is taking audiences on a trip into the Austrian wilds in a new episode of its hit wildlife series Nature. 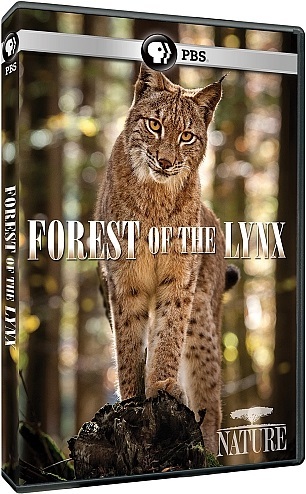 Public Media Distribution will release Nature: Forest of the Lynx Tuesday, June 20. The program, which will be available exclusively on DVD, follows two female Lynxes in Austria’s Kalkalpen National Park in two separate situations. One works to survive on its own while the other works to prepare her young for life in the park. They two Lynxes are not the only animals featured in this program, despite its title. Audiences also follow a white-backed woodpecker and a pygmy owl as they go about their daily lives in the park, and even follows the life cycle of trees in the park along the way, too. Big things can and often do come in small packages. Who out there hasn’t heard or said this or some variant thereof? In the animal kingdom, one of the smallest creatures – the hummingbird – is one of the biggest surprises. The tiny birds’ surprises are many, too. Those surprises were recently revealed in a new episode of PBS’ hit wildlife-based series Nature in the form of Super Hummingbirds. This episode isn’t the series’ first to ever focus on the tiny birds, but it is still an interesting program nonetheless. That is due in part to the program’s central topic. This will be discussed shortly. The information that is presented within the program is just as important to its presentation as its central topic. It will be discussed later. The program’s transitions round out its most important elements. Each element is important in its own right to the program’s overall presentation. All things considered, Super Hummingbirds proves in the end to be its own super episode of Nature. Super Hummingbirds is not the first episode of its kind to run on PBS’ hit wildlife series Nature. Even with that in mind, it is still its own “super” episode. That is due in part to the program’s central topic. The program’s central topic focuses on the various adaptations hummingbirds have developed throughout their evolution. One of those adaptations allows one species of hummingbird to survive at altitudes that would otherwise be fatal to humans. That is because of the low levels of oxygen at those altitudes. Another key adaptation that is displayed is the hummingbird’s tongue. Audiences will be surprised to discover here that hummingbirds’ tongues (or at least one species of hummingbird) are actually split in a manner similar to snakes. What is even more interesting to learn is the revelation that hummingbirds use channels of sorts in their tongues in order to lap up nectar from flowers. They don’t just stick out their tongues and lap it up. It is truly an interesting revelation. It is just one more of so many interesting adaptations that are revealed as part of the program’s central topic. There are plenty of other adaptations revealed throughout the course of the program that audiences will be just as interested to discover. Even with that in mind, the program’s central program should not be considered the program’s only important element. The information that is presented throughout the course of the program’s roughly hour-long program is just as important to note as the program’s central topic. The central topic presented in Super Hummingbirds is in itself a key element to the program’s overall presentation. It is a topic that while touched on in previous similar episodes of Nature, is still original in its own right. That is because it takes such a close look at the adaptations that have allowed the tiny birds to survive in different situations and settings. As important as the presented topic proves to be, it is just one of the program’s key elements. The information that makes up the body of the program is just as important to note as the program’s central topic. One of the more interesting pieces of information revealed in the program is that of the ability of one species of hummingbird to survive at altitudes close to that of Mount Everest. That information is provided as one scientist conducts experiments to see how low he can make the birds’ oxygen levels before they begin struggling to fly. For the animal rights activists out there, no birds were harmed in the process. Another interesting piece of information that is revealed in the program is the fact that allegedly hummingbirds spend the better part of their days competing. What’s more the males are the ones who do the competing, and they do so primarily for the purpose of creating the next generation of hummingbirds. It’s so interesting to note because of the reputation that hummingbirds have as gentle, tiny creatures. According to this piece of information, they are not the peaceful little creatures that most people think them to be. What’s more it makes them seem about as competitive as most teen boys. Yes, that bad joke was fully intended. This revelation in particular is just one more of so many interesting pieces of information that will assuredly keep audiences engaged throughout the course of the program. There are plenty of other intriguing pieces of information that are revealed from beginning to end. All things considered, the information provided within this episode of Nature give audiences plenty to appreciate. They prove collectively to be just as important to the program as its central topic. The program’s overall information, important as it is, is still not the program’s only remaining important element. The program’s transitions are just as important to note as its collective information and central topic. The topic at the heart of Super Hummingbirds and the program’s collective information are both key pieces of the program’s overall presentation. While both elements are clearly important pieces of the program’s whole, they are just two of three key elements that should be noted in examining its overall presentation. The program’s transitions are just as important to note as its information and central topic. From hummingbirds’ survival abilities to their competitive nature to their mating the transitions between subjects are clear and concise. There is no jumping from one subject to the next. While there are no fade-ins or fade-outs between subjects, the program’s writing makes the transitions stable and thus maintain the program’s pacing. That being the case, the program’s transitions keep it moving forward and in turn, keep audiences engaged. It proves the importance of the transitions to the program’s overall presentation. When it is set alongside the program’s extensive information and its central topic, the whole of those elements makes this episode of Nature another “super” presentation from PBS’ hit wildlife-based series. 2016 was another great year for documentaries. From ancient kings to movie magic kings and much more, the field of documentaries had plenty to offer audiences. Believe it or not PBS showed again with its offerings why it remains the king of the documentary field and why it is the last true bastion of truly worthwhile programming on television. It wasn’t the only outlet that offered quality documentaries this year, though. Virgil Films and MVD Visual both had some stand out offerings, too. Their films are included in this critic’s list of the year’s best new documentaries. 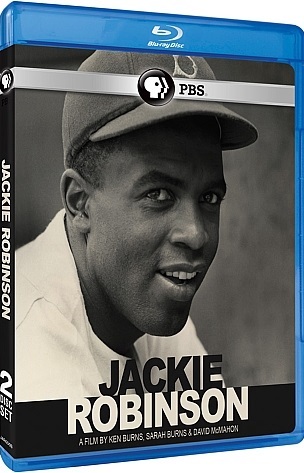 Topping this year’s list of the year’s top new documentaries is Ken Burns’ new profile of MLB great Jackie Robinson. It isn’t the first of its kind by any means. But it is one of the most in-depth profiles of the baseball legend. Also included in this year’s list is a profile of another legend in his own right, Ray Harryhausen from MVD Visual in the form of Ray Harryhausen: Special Effects Titan. It isn’t the first of its kind, either. But its story, interviews, footage, information and editing all combine to make this presentation stand out. There is even a pair of documentaries on the “timeless” cinema classic Back to the Future included in this list. PBS Distribution will release a high flying new episode of its hit wildlife series Nature next month on DVD and Blu-ray. Nature: Super Hummingbirds will be released on Tuesday, Nov. 22. The program examines the “super powers” that make hummingbirds one of the most incredible species of bird in the world. The program is Emmy-winning filmmaker Ann Johnson Prum’s (Hummingbirds: Magic in the Air, An Original DUCKumentary, Animal Homes) second film focusing on hummingbirds. The program focuses on new discoveries about hummingbirds. Those new discoveries include how hummingbirds actually manage to drink nectar from flowers so quickly, and what allows them to survive in settings that are otherwise uninhabitable for other creatures. For the first time ever, audiences will also get to see in this documentary how hummingbirds mate (meaning some parental discretion may be advised for younger viewers), lay eggs, fight, and even raise families. The hour-long program opens with the research of Dr. Alejandro Rico-Guevara explaining how hummingbirds are able to lap up nectar at 20 times per second. This is done through the use of a clear feeding tube and a real flower. The flower contained the same amount of nectar found in a real bloom. High speed macro photography reveals the birds’ secret; a secret that audiences will discover for themselves when they order the episode for themselves. Dr. Christopher Witt and his team of researchers are also presented in this episode as they uncover the secret to hummingbirds’ ability to survive at altitudes where oxygen is 40 percent more scarce than at sea level. Experiments conducted with the birds revealed a very stunning connection between the birds’ hemoglobin and their ability to survive at those high altitudes. Research also revealed a connection between the birds’ ability to fly at high speeds and their ability to capture extra oxygen as they fly and breath. The program’s final segment audiences are taken to the rainforests of Costa Rica where Dr. Marcelo Araya-Salas and researchers from Cornell University have spent seven years studying the mating habits of hummingbirds. The group filmed more than 2,000 hours of footage in its research and caught the first footage of hummingbirds mating in that footage. The whole thing ends with a life cycle of the hummingbird, from nest building, to parenthood to the first flight. 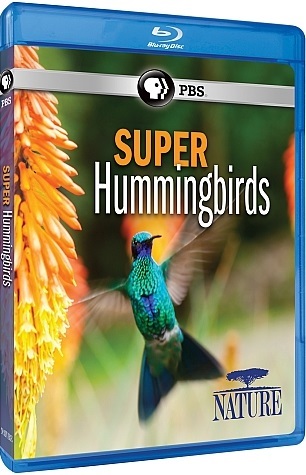 Nature: Super Hummingbirds originally premiered on PBS stations nationwide on Oct. 13. It will be available on DVD and Blu-ray on Nov. 22 and will retail for MSRP of $24.99 on DVD and $29.99 on Blu-ray. It can be pre-ordered now at a reduced price of $24.99 (Blu-ray) and $19.99 (DVD) now online at PBS’ online store.